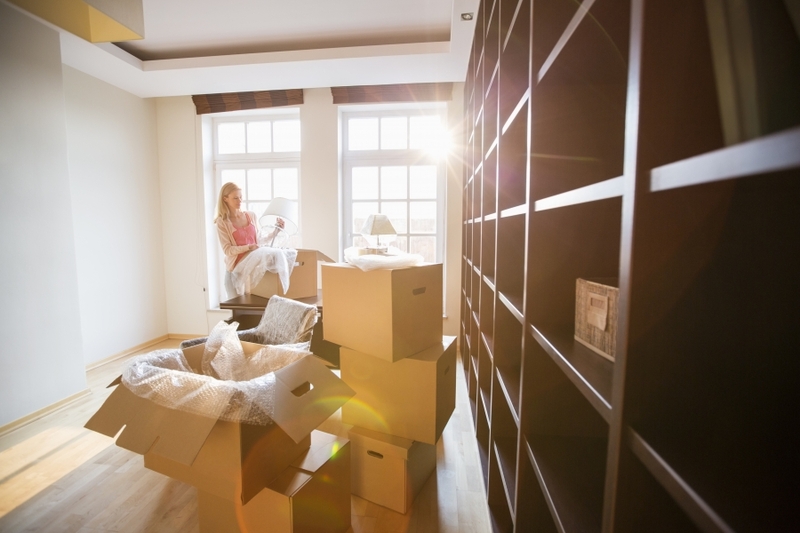 Whether you’re storing clothes due to a home restoration or you’re between leases for a month or two, a storage facility will provide you with infinite peace of mind. At Quality Services Moving & Delivery, many of our storage customers ask us what the best way to store and protect their clothes is. Aside from storing your clothing in one of our monitored and controlled storage crates, there are a few things you can do to ensure your clothes look fresh out of the dry cleaners when you decide to take them out of storage. In this article, we’ll discuss six tips to remember when it comes time to store your clothes for the long term. Before you throw your hamper of clothes in a storage unit, make sure to wash and iron them first. If your clothes have surface stains or dirt on them, they will set in over the course of time unless you wash them. The last thing you want is to pull your clothes from a storage unit only to find stains that are seemingly impossible to remove. Wash all of your items of clothing per their instructions and make sure to dry clean any items that may need special attention. This will not only keep your clothes safe from floating contaminants in your storage unit, it’ll make sure your clothes are fresh and clean when you’re ready to wear them. If you want to keep your clothing extra organized and contaminant proof, consider investing in a vacuum seal. There is a wide range of vacuum seal bags on the market, which can be great space savers when it comes to your storage unit. If you’re considering throwing all of your clothes into loose plastic bags or cardboard boxes, our storage experts advise you to think again. Plastic bags have a tendency to trap moisture, which can cause mildew to grow. Over time, this mold can leave a damaging yellow tint on your clothes that is extremely difficult to remove. Cardboard boxes are a poor choice for storage as well, since they will not protect your clothes against rats and mice that can easily chew through the walls of the boxes. When opting for a safe and secure storage solution for your clothes, airtight plastic containers with lids and vacuum sealed bags are among the best things to pack your clothes in. At Quality Services Moving & Delivery, we understand that there isn’t always enough time to single-handedly prepare your household for a move. Whether you need help packing clothing, furniture or fragile family heirlooms, our moving professionals can help. From partial to full packing services, we’ll ensure your belongings get their destination safely and efficiently. Contact our packing specialists today to learn more! Contrary to popular belief, you shouldn’t store mothballs with your closing over a long period of time. Their strong and pungent smell can have a negative effect on your clothing and as long as your store your clothes in airtight containers, you won’t have to worry about moths chewing through your beloved garments anyway. If you have a large family or your own personal selection of clothes for winter, spring, summer and fall, make sure to label your clothing containers adequately before storing them. This will help you stay organized down the road, so when it comes time to grab that container of fall favorites, you won’t have to sort through pounds of clothes to find that one item your looking for. If you need a dependable and and secure storage unit in Virginia, contact the storage experts at Quality Services Moving & Delivery today!